It has been quite a while since I posted, but I saw these Festive foodie ideas and had to share! Santa Bread!…..yes it is BREAD! Divide the smaller portion in half. Shape and flatten one half into a beard. Using scissors or a pizza cutter, cut into strips to within 1 in. of top. Position on Santa’s face; twist and curl strips if desired. On a lightly floured surface, shape the larger portion of bread dough into an elongated triangle with rounded corners for Santa’s head and hat. Carefully pick up the cut beard piece with both hands and position the beard on the bottom of Santa’s face. 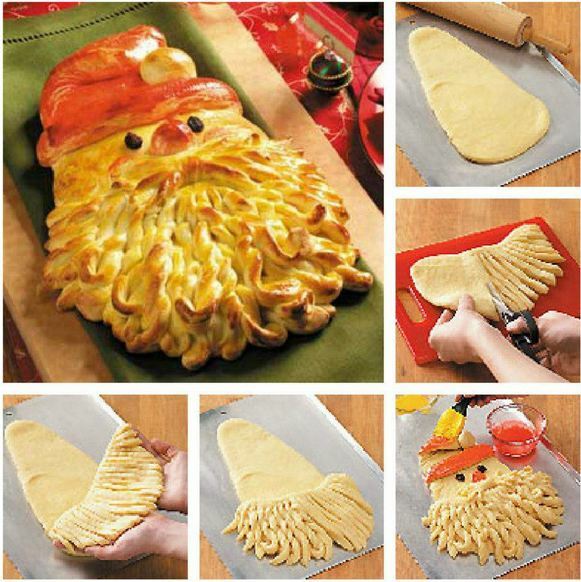 Want to save time when making the Golden Santa Bread? Instead of stirring up homemade dough, start with 2 loaves of purchased frozen bread dough and turn them onto a lightly floured surface. Take a small portion of one loaf and add it to the other loaf, making it slightly larger. Then begin shaping the Santa with the dough following the instructions. 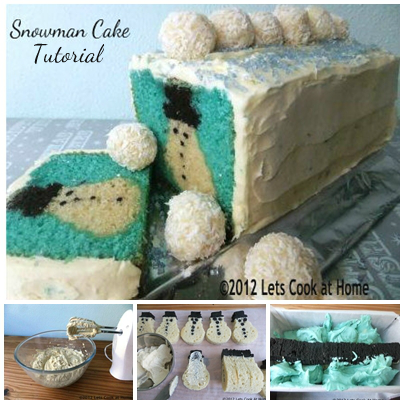 A Hidden Snowman cake….just so cute! The holidays are most definitely coming!……eek!!!!!!! Next Where do those lost socks go?